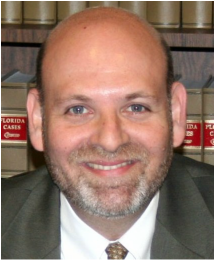 FORT MYERS, Fla. (Dec. 23, 2015) – Grossman Law & Conflict Management is pleased to announce its founder and managing partner, Attorney and Mediator Keith Grossman, has been awarded the Association of Family Law Professionals (AFLP) annual Hugh E. Starnes “Think Outside the Box” Award. The award is given to a member of AFLP in recognition of his or her leadership, critical thinking, innovation and dedication to non-adversarial practice. AFLP is a multi-disciplinary organization made up of attorneys, judges, therapists, accountants, and financial planners. It promotes cooperation in matters of family law, including dissolution of marriage, in order to achieve cost-effective resolutions and to maintain emotional stability and necessary family relationships. The association develops and promotes a model (including guidelines) for cooperation in the process of divorce and other family law issues. Through professional and ethical behavior by example, and direct invitation, the AFLP works to recruit as members 100 percent of the Lee County family law professionals involved in marriage and family issues to create unanimity. Members work to promote the principles of the association and its work among other professionals, the general public, and prospective clients of the family law system to enhance efforts to preserve family relationships and emotional and financial stability.